An action-packed activity book featuring a Dragon Hunter minifigure! The ninja are facing the ultimate challenge. Lord Garmadon is back, and he's more evil than ever. Lloyd and Nya must face him . . . while the rest of the ninja team are trapped in the Realm of Oni and Dragon, battling dragons! Do the ninja have the strength to endure? 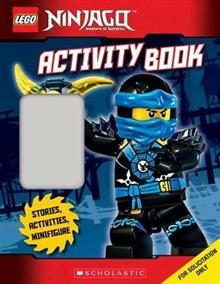 Help them outwit their opponents in the activities and puzzles inside, and defeat the evil Lord Garmadon! !